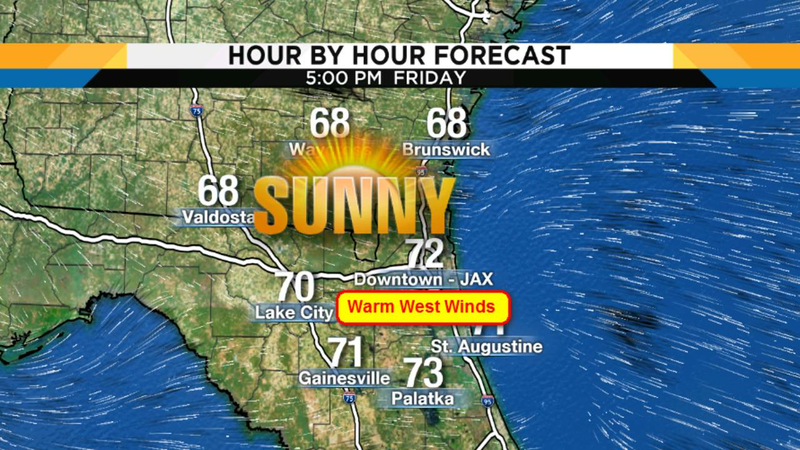 JACKSONVILLE, Fla. - Which way the wind blows goes a long way in terms of what our afternoon high temperatures will be like. Earlier this week the winds where strongly onshore (northeasterly winds) but by Thursday (yesterday) we saw our winds shift to blow westerly, offshore and our afternoon temperatures jumped well into the 70s. This weekend we will be watching shifting winds and shifting temperatures. Saturday starts out chilly, with a breeze as sunrise temperatures will be around 50°. Expect sunny skies and warm westerly winds between 8-16 mph. Temperatures will top out in the mild mid to low 70s. 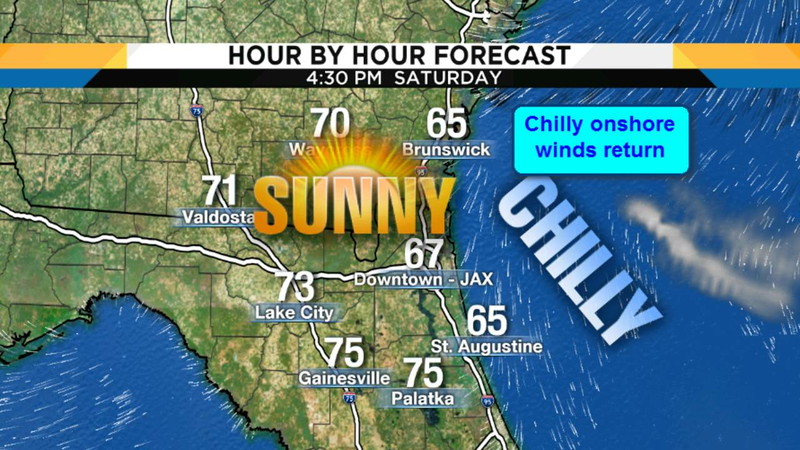 Furthermore, the winds will push milder temperatures all the way to the beach early Saturday. Where as this weekend will be lovely for those who see westerly winds. That would include those living or will be along or west of I-95. Daytime temperatures will reach the low to mid 70s all the while skies will be super sunny! Good stuff. Area beaches should expect those shifting winds to push onshore as a surge of cool temperatures and winds cap off the afternoon highs on Saturday. 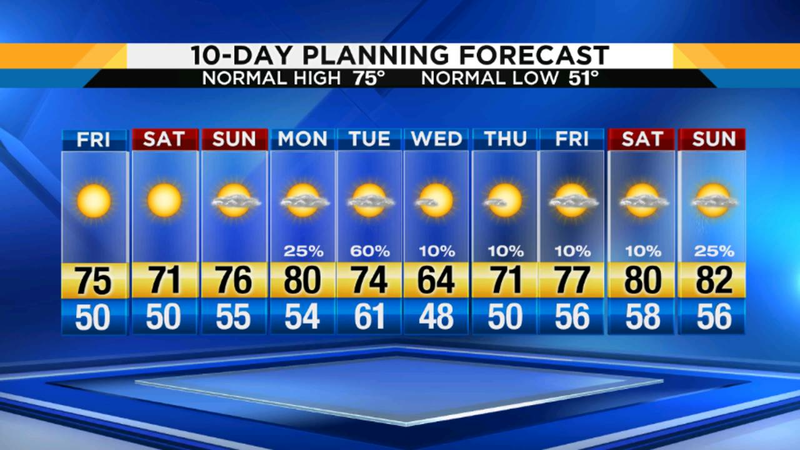 Many beaches will only see highs in the 60s. As winds turn onshore and they will be chillier. Northeast winds will be gusting up to 15 mph.